Human Ecology research papers discuss the study of humans and their environments. The study of ecology dates back to ancient Greece. Ernst Haeckel was the first person to use the term ecology. Carl Linnaeus was an early human ecologist who had an influence on Charles Darwin. Herbert Spencer was a scientist who first used the term survival of fittest and founder of sociology. In 1984, Albion W. Small and George E. Vincent collaborated in publishing information about their study of people in their working environments. Ellen Swallow Richards was the first person to use the term human ecology in relation to the study of the environment around humans and the effects the environment had on them. Human ecology has also been aligned with the discipline of home economics. College programs once called home economic courses were later renamed human ecology to keep up with the modern views of society. 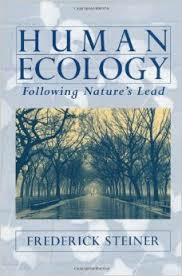 Ecology studies the natural equilibrium that allows organisms to survive in a particular environment. Over the course of human history, many changes that have been regarded as technological achievements that have served to advance the species as a whole have also posed challenges to the equilibrium that must remain stable in the natural world in order to protect the environment. Man-made technologies, in many ways, have proven to be the single biggest threat to ecological balance and human ecology. Ironically, although technology has wrought a great deal of environmental damage over the last several centuries, many scientists and environmentalists now look to emerging technologies and scientific advances as potentially helpful tools in the process of restoring ecological balance to the environment. Although the human progress and development that drives modern society will likely never be slowed or halted, new technologies have been developed that can support what is known as sustainable development. Sustainable development is a process that reconciles industrial and commercial development with environmentally-friendly practices. In addition to sustainable development, another way that technology can impact the ecological balance is through processes that scientists have termed bioremediation. Bioremediation is a process that attempts to correct and, if possible, reverse environmental and/or ecological damage that has been inflicted in the past. A number of new, emerging, and proposed technological applications hold great promise for bioremediation, including nanotechnology, biotechnology, alternative energy research, and improved transportation methods. Information technology may not seem like a highly applicable tool to use in the process of restoring ecological balance to the Earth’s environment. However, in reality, computer-aided systems and technologies have proven to be extremely beneficial in this process. Applications such as remote sensing, advanced satellite and photo imaging, and computer modeling have all helped scientists gain a broader perspective of the environment and ecological issues. Using these tools, researchers can more accurately identify ecological systems and the challenges and obstacles that threaten the delicate natural equilibrium that supports these systems. Social Ecological Models research papers look into the models developed to help explain how various aspects of society are influenced by environmental factors. Trends in Ecology and Evolution research papers examine the series of scientific journals, published in the United Kingdom, of a monthly publication that has become the highest-cited journal in the areas of ecology and evolutionary biology. African Ecology Research Papers delve into this this region's population and resources. Linguistic anthropology is the study of how language is used on a daily basis as well as the influence it has on everyday life. Environmental Sustainability research papers discuss sustainability in the farming paradigm and examine the three main farming systems that environmental sustainability has to be considered in. Human Genetics research papers overview the study of biological inheritance as it occurs in humans. Order a research paper on human genetics from Paper Masters. Study of Human Behavior research papers discuss the study that focuses on several of the social sciences, principally psychology, sociology, economics, and anthropology. Ecosystem research papers look into what defines the community of living organisms that interacts as a system with the nonliving aspects of the environment. Ecological Model Research Papers - Ecological Model research papers examine the overview of an ecological situation that attempts to take varying factors into account. Effects of Water Pollution on the Environment and Human Life Research Papers look at the different toxins. Ecology and Environment research papers examine the relationship of ecology and the environment scientifically. Sustainability and Culture - Sustainability and Culture Research Papers on how many of today’s manufacturing and consumer practices contribute to environmental destruction. Sustainable Development and Government - Sustainable Development and Government research papers discuss this new concept that is being widely used by the government and many organizations around the world. Information Technology - Information Technology research papers overview the history of IT and how it relates to Management issues in business. Artificial Satellites - Artificial Satellites Research Papers delve into a sample of research paper order, and how it should be set up, and the topics that should be addressed. Survival of the Fittest - At the core of Social Darwinism and the theory of Natural Selection is the notion of the survival of the fittest. Advances in Technology - Advances in Technology has been phenomenal over the past 20 plus years, ranging from light bulbs to the ability to clone animals. Paper Masters writes custom research papers on Human Ecology and discuss the study of humans and their environments.